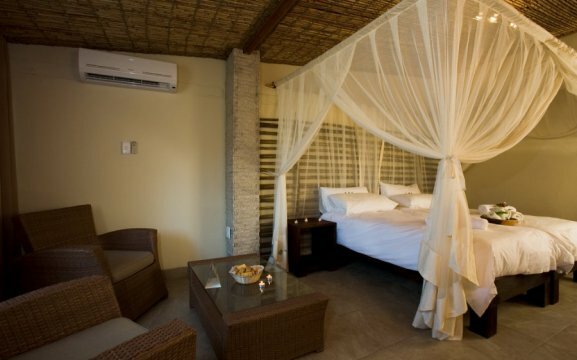 Okaukuejo Resort is situated 17km from the Anderson Gate, southern entrance to Etosha National Park. 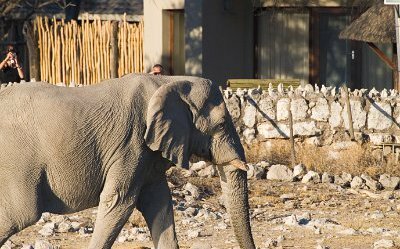 It was the first tourist camp to open in Etosha. It used to be a military outpost in 1901 and in 1963 a tower was added. 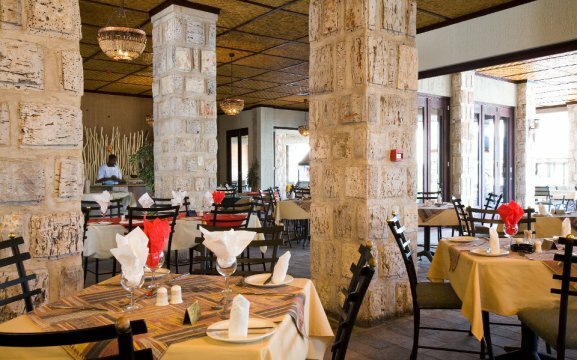 It features a petrol station, shop, restaurant and bar for refreshments and delicious meals, swimming pool for the hot days, post office, conference facilities and famous floodlit waterhole in the centre of Okaukuejo’s Accommodation. At the waterhole, you will see a few animals in the morning, and after sunset you will see the endangered black rhino drinking next to the lion. 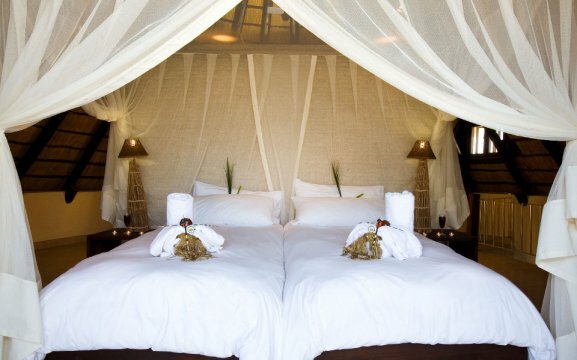 Okaukuejo Resort accommodation offers double story chalets with en-suite bathrooms and balconies overlooking the waterhole. 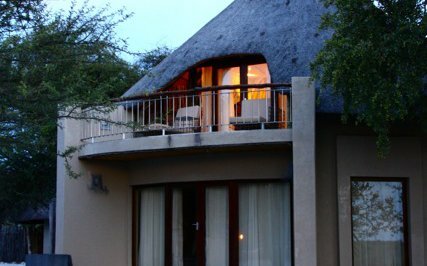 We have waterhole bush chalets, bush chalets, family chalets and double rooms. Some of the units have a braai area, and some are self-catering. 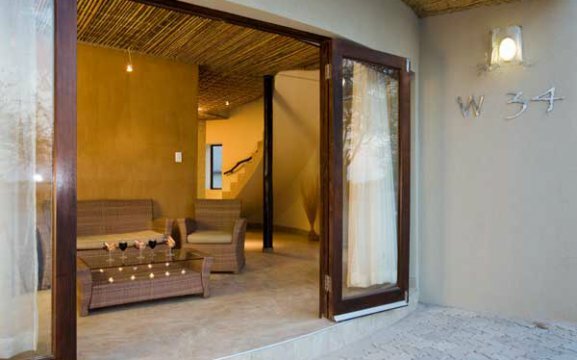 The double story chalets offer game viewing from their balcony, have en-suite bathrooms and lounge with coffee/tea facilities. 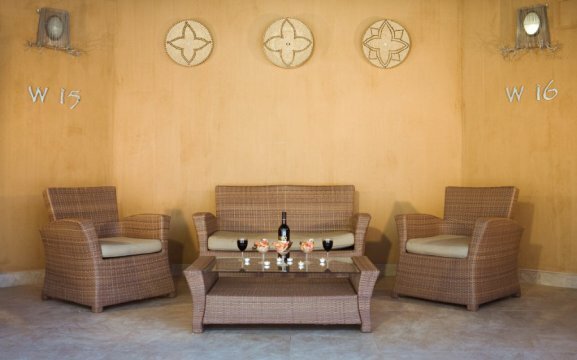 The family chalets have two rooms, spacious with en-suite bathrooms, fully equipped kitchen as well as a lounge. They have shaded veranda with braai area and car park. 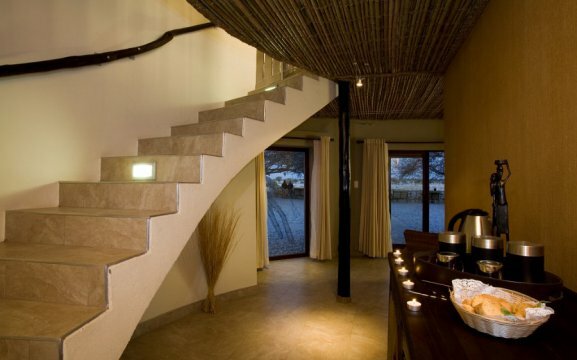 Our bush chalets have one bedroom, bathroom, lounge and braai area, minibar and coffee/tea facilities. 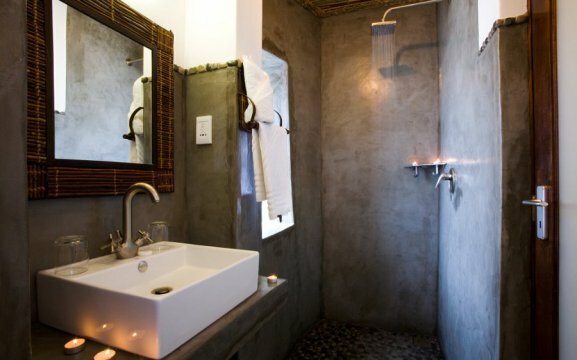 The waterhole chalets have double rooms with en-suite bathroom, braai area and lounge.the double room has en-suite bathroom and is equipped with minibar and tea/coffee facilities. 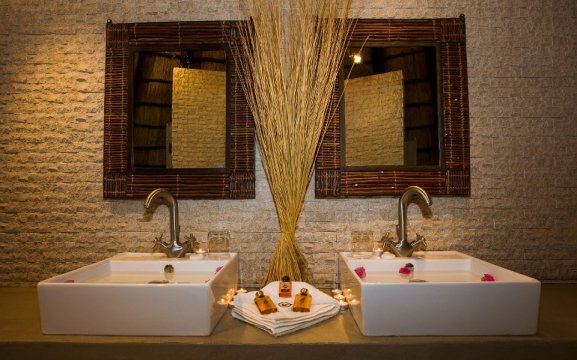 Okaukuejo has two disabled access chalets with a close proximity to the waterhole with spacious bathroom and fully equipped with low appliances. We also have camping sites with shaded areas and ablution blocks with showers and toilets. Some have kitchens. All camping sites have braai facilities, power points and hot & cold water. 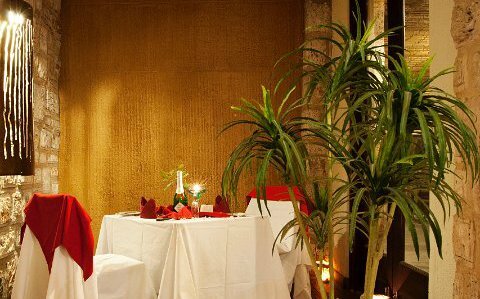 Okaukuejo’s restaurant offers buffet and a la carte menus and a variety of wines, spirits, cool drinks and beers. 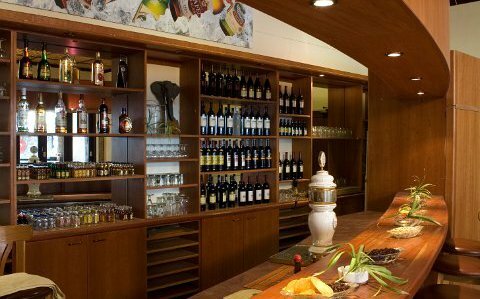 Our kiosk offers goods for our guests stay. 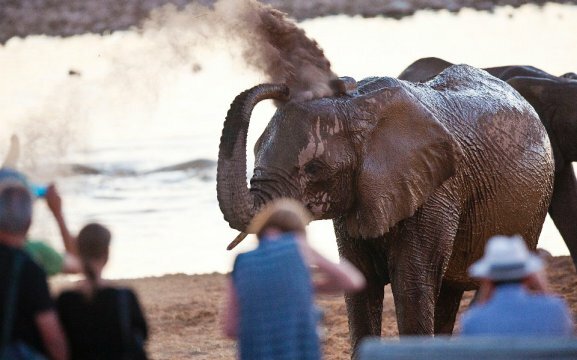 Activities include morning and afternoon game drives, where you will be watching a variety of animals and you will see all the waterholes.